Specializing in gas permeable contact lenses including corneal disease, bifocals, toric, bi-toric, scleral, and Sportsights which are a unique material simulating a good pair of sunglasses. Nick is the patent holder of the Ni-cone Keratoconus design used for corneal abnormalities, injuries, disease, corneal transplants, and extreme astigmatism. Lancaster Contact Lens manufactures gas permeable contact lenses using the latest technology and materials on premises. Lancaster Contact Lens also has thousands of lenses in stock. Soft lenes of all types including bifocals, toric, aphakic. Many of these designs are in-stock, and custom fits are available. 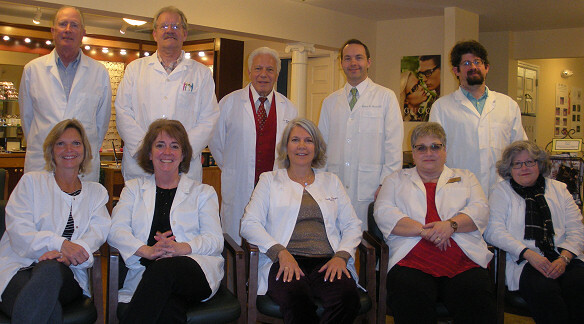 The lancaster Contact Lens team. A non-surgical reduction of myopia for normal patients to -5.00, also known as ortho-keratology, using the first patented reverse geometry lens used in America, the NRK [patent number 4,787,732]. This includes the reduction of myopia, rehabilitation of failed surgical procedures such as Lasik, Lasek, radio keratotomy, post corneal transplant, and all other forms of refractive surgery. The original reverse geometry lens used for this treatment was designed and patented by Nick Siviglia. Lancaster Contact Lens has its own optical department, Lancaster Opticians, which carries a large selection of frames at a wide price range to meet any budget. Sunglasses, Sports Goggles, Diving Masks, children’s frames, reading glasses, and accessories. 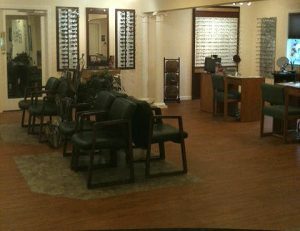 Our opticians are skilled and ABO certified. Our artificial eyes are custom made from source materials, hand painted, and include follow up appointments to carefully fit the ocular prosthetic.